Conservative legal scholar Adam Freedman is one of America's leading commentators on the Constitution and legal affairs. Freedman is the author of The Naked Constitution: What the Founders Said and Why it Still Matters (Broadside Books), a provocative manifesto that asserts the need to recover the original meaning of America's Constitution. Touching on issues such as healthcare, immigration, and gay marriage, Freedman examines what our nation's founding fathers actually wrote and why the Constitution is still so important today. As an advocate for constitutional originalism, small government, less regulation, individual liberty, and respect for life, Freedman is a sought-after speaker for corporate and law firm events, think tanks, political groups, universities, and constitution/civics organizations. Freedman's presentations exhibit a real-world perspective on constitutional issues and aim to bring about more meaningful public discussions in a way that is both accessible and enjoyable for his audiences. 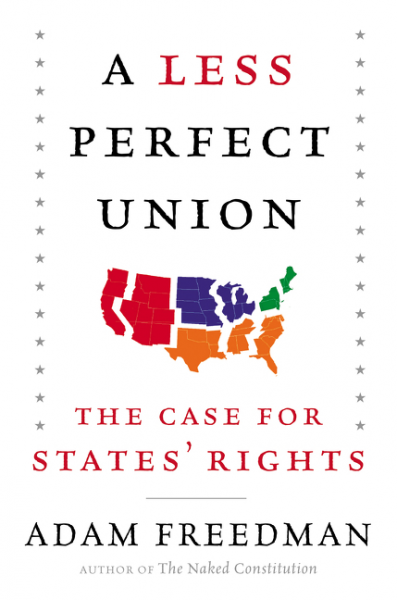 Freedman's most recent title, A Less Perfect Union (Broadside Books), provides a detailed and lively history of the development and creation of states’ rights, from the constitutional convention through the Civil War and the New Deal to today. Surveying the latest developments in Congress and the state capitals, he finds a growing sympathy for states’ rights on both sides of the aisle. Freedman makes the case for a return to states’ rights as the only way to protect America, to serve as a check against the tyranny of federal overreach, take power out of the hands of the special interests and crony capitalists in Washington, and realize the Founders’ vision of libertarian freedom—a nation in which states are free to address the health, safety, and economic well-being of their citizens without federal coercion and crippling bureaucratic red tape. With a bachelor's degree from Yale University and law degrees from Oxford University and the University of Chicago, Freedman now covers legal affairs for Ricochet.com and hosts a regular podcast devoted to legal and constitutional issues. He has been a featured guest on Fox News, Blaze TV, Newsmax, and numerous syndicated radio programs. 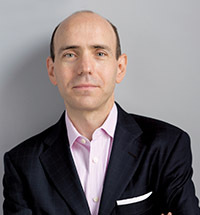 His commentary has appeared in the New York Times, Wall Street Journal, National Review, Bloomberg View, foxnews.com, and many others. His 2007 book, The Party of the First Part, explores the language of lawyers and helps to debunk their verbose legalese. Freedman currently resides in Brooklyn with his wife and two daughters, and is at work on a book about federalism and states' rights. "Adam's speech on Shakespeare and the Law was terrific and one of the highlights of the New York State Bar Association's 2005 London conference. He was not only witty and entertaining, but, through his thoughtful reading of Shakespeare's texts, helped us to view Shakespeare in a new light." "I enjoyed it immensely -- I think it was one of the best lectures I've encountered since graduating from law school." "He's that rare writer who knows how to give an entertaining reading of his own work." "Adam was witty and incisive, providing thought-provoking and substantive commentary." "His humorous look at some of the legal challenges about the meaning of the Constitution throughout the country's history kept the audience entertained." "A compelling response to the 'living Constitution'--a fradulent theory that allows judges and politicians to rewrite the Constitution at will...to centralize power and erode basic freedoms. Most importantly, he explains how we can return to the Founders' principles of individual liberty and limited government." "Brilliant, lively, pugnacious, and very ambitious. Freedman intends to reclaim our founding document for us, the laymen, the ordinary citizens whom the Constitution was intended to serve, and masterfully does so in this lucid and accessible book." "In this very entertaining and informative book, Freedman skewers those who have judicially rewritten the Constitution at the expense of our individual liberties. 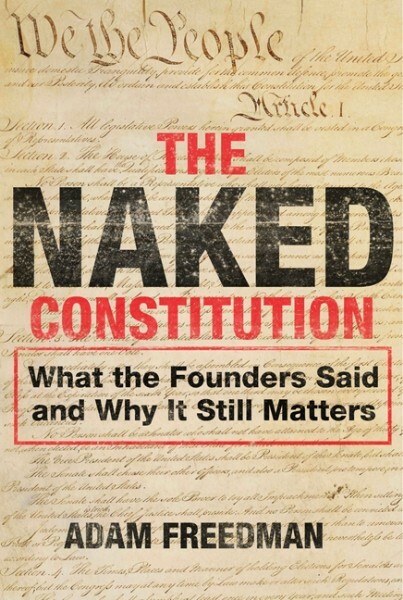 Well-researched and full of historical insight, The Naked Constitution explains the Founders' original meaning, and demonstrates the urgency of reclaiming America's founding ideals. Well done." "We ought to have more [books] like this. If we did, we might have more meaningful public discussions about the virtues and vices of originalism, living constitutionalism, constitutional fidelity, or any other method of constitutional interpretation or construction--and why they matter." "Freedman . . . offers a no-holds-barred defense of originalism, which he defines as the proposition that the Constitution should retain the meaning it had when it was ratified in 1789. . . . Freedman is an entertaining writer and conservative readers will be amused by his use of sarcasm, hyperbole, and inflammatory attacks on liberals."